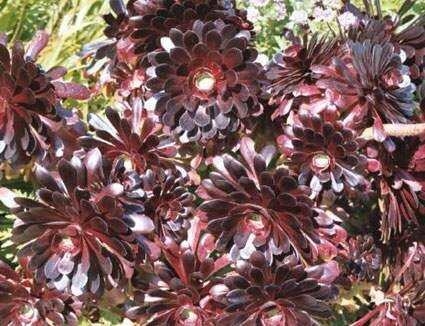 "Black Tree" Wide leaves tipped purple in flat rosettes topping thick erect trunks; golden blossoms in impressive pyramidal clusters often appear midwinter. 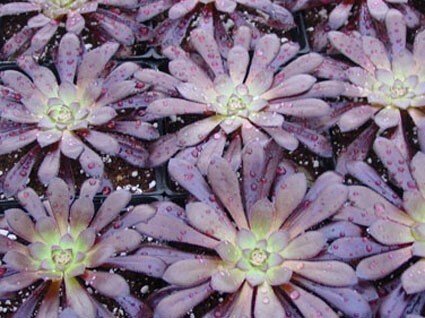 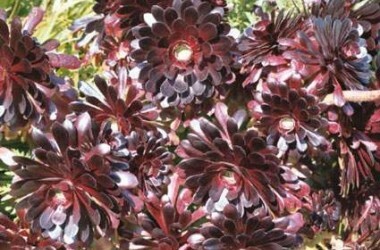 This form has very deep maroon "Black Tree" leaves with shiny flat leaved rosettes reaching their most beautiful level mid winter--tends to rest in the heat of mid summer as its Canary Islands origins dictate, the tight rosettes of leaves incurving into guppy mouths, at which point you need to cut back severely on watering to avoid root rot. 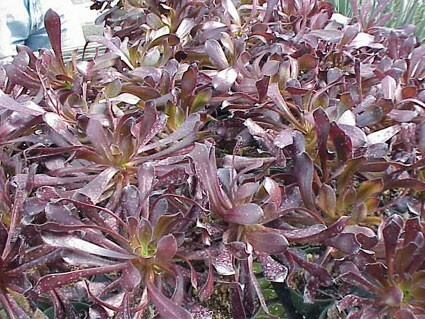 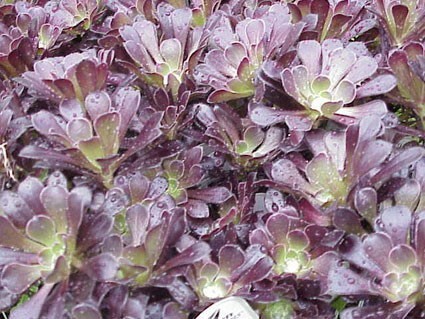 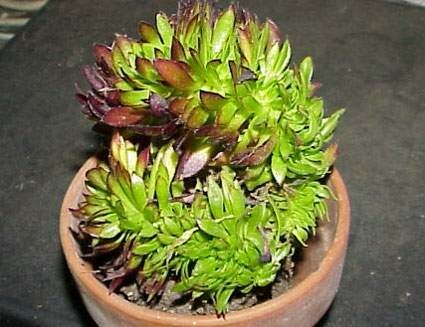 Very popular currently for combining with other "black" plants in containerized avant gardening.